Not to be confused with Washington University in St. Louis, University of Washington, or George Washington University. Washington State University (WSU) is a public research university based in Pullman, Washington, in the Palouse region of the northwest United States. Founded in 1890, WSU (colloquially "Wazzu") is the state's land-grant university, well known for its programs in chemical engineering, veterinary medicine, agriculture, pharmacy, neuroscience, food science, plant science, business, architecture, and communications. It is ranked in the top 140 universities in America with high research activity, as determined by the U.S. News & World Report. With an undergraduate enrollment of 24,470 and a total student enrollment of 29,686, it is the second largest institution of higher education in Washington state behind the University of Washington. The university also operates campuses across Washington known as WSU Spokane, WSU Tri-Cities, and WSU Vancouver, all founded 27 years ago in 1989. In 2012, WSU launched an Internet-based Global Campus, which includes its online degree program, WSU Online. These campuses award primarily bachelor's and master's degrees. Freshmen and sophomores were first admitted to the Vancouver campus in 2006 and to the Tri-Cities campus in 2007. Total enrollment for the four campuses and WSU Online exceeds 29,686 students. This includes 1,751 international students. WSU's athletic teams are called the Cougars and the school colors are crimson and gray. Six men's and nine women's varsity teams compete in NCAA Division I in the Pac-12 Conference. Both men's and women's indoor track teams compete in the Mountain Pacific Sports Federation. Washington State College was established by the Washington Legislature on March 28, 1890, less than five months after statehood. The institution was one of the land-grant colleges created under the 1862 federal Morrill Act signed into law by President Abraham Lincoln. The federal land grants for the new institution included 90,000 acres (360 km2) of federal land for an agricultural college and 100,000 acres (400 km2) for a school of science. After an extended search for a location, the state's new land-grant college opened in Pullman on January 13, 1892. The year 1897 saw the first graduating class of seven men and women. The school changed its name from Washington Agricultural College and School of Science to State College of Washington in 1905, but was commonly called "Washington State College." The name was changed by the state legislature to Washington State University 57 years ago in 1959. Enoch A. Bryan, appointed July 22, 1893, was the first influential president of WSU. Bryan held graduate degrees from Harvard and Columbia and previously served as the president of Vincennes University in Indiana. Prior to Bryan's arrival, the fledgling university suffered through significant organizational instability. Bryan guided WSU toward respectability and is arguably the most influential figure in the history of the university. The landmark clock tower in the center of campus is his namesake. WSU's role as a statewide institution became clear in 1894 with the launch of its first Agricultural Experiment Station west of the Cascade Mountains near Puyallup. WSU has subsequently established extension offices and research centers in all regions of the state, with major research facilities in Prosser, Mount Vernon, and Wenatchee. In 1989, WSU officially gained branch campuses in Spokane, the Tri-Cities, and Vancouver. Overall, the Federal Government and the State of Washington have entrusted 190,000 acres (77,000 ha) of land to WSU for agricultural and scientific research throughout the Pacific Northwest. Professional education began with establishment of the School of Veterinary Science in 1899; in 1902 the first two veterinary science students graduated, and in 1909 the first Doctor of Veterinary Science degrees were awarded. The veterinary school was elevated to college status in 1916, becoming the College of Veterinary Medicine in 1925. Graduate education began in the early years and, in 1902, the first master's degree was conferred, an M.S. in Botany. In 1917, the institution was organized into five colleges and four schools, with deans as administrative heads. In 1922 a Graduate School was created. In 1929, the first Ph.D. degree conferred, in Bacteriology. The university offers bachelor's, master's and doctoral degrees in 200 fields of study through 65 departments, schools and programs. In addition, WSU has an all-university Honors College, a Graduate School, an online Global Campus, and an accredited intensive English program for non-native speakers (the Intensive American Language Center). Washington State University is chartered by the State of Washington. A Board of Regents governs the university and provides direction to the President. There are ten regents appointed by the governor, nine of whom serve six-year terms. The tenth is a student regent appointed on an annual basis. As of March 2009 a proposal under consideration by the state legislature would add an eleventh to the board, appointed from the faculty for a three-year term, whose role would be limited to issues not dealing with faculty. Currently the regents are Don Barbieri, Theodor P. Baseler, Scott E. Carson, Harold A. Cochran, Ryan Durkan, Laura M. Jennings, Lura J. Powell, Ron Sims, Jansen VanderMeulen (student), and Michael C. Worthy. Kirk Schulz currently serves as WSU's president and chief executive officer. The Provost and Executive Vice President post is currently co-led by Ron Mittelhammer and Erica Austin, who handle academics, research and faculty matters for WSU statewide. The former president, Elson Floyd, former president of University of Missouri System, succeeded V. Lane Rawlins on May 21, 2007 and served until his death on June 20, 2015. Bernardo was formerly Dean of the WSU College of Agricultural, Human and Natural Resource Sciences. WSU has had just 10 presidents in its 125-year history: George W. Lilley (1891–1892), John W. Heston (1892–1893), Enoch A. Bryan (1893–1915), Ernest O. Holland (1916–1944), Wilson M. Compton (1945–1951), C. Clement French (1952–1966), Glenn Terrell (1967–1985), Samuel H. Smith (1985–2000), V. Lane Rawlins (2000–2007), Elson S. Floyd (2007–2015). Current acting president Daniel J. Bernardo is not counted among those; nor are previous acting presidents William Pearl (1951-1952) and Wallis Beasley (1966-1967). The WSU Foundation is an independent, private corporation with its own Board of Governors and Chief Executive Officer that serves as a fundraising organization for the university. The current Board Chair is Judy Rogers. The Faculty Senate serves as the sounding board for the more than 2,261 faculty members. All major academic decisions must be approved by the Senate. The Senate is composed of representatives from each academic college and department, and from all four WSU campuses. College of Engineering and Architecture. WSU has 12 colleges and a graduate school. The liberal arts and sciences have an important place in the curriculum, along with business, communication, education, architecture, pharmacy, nursing, and the traditional land-grant disciplines of agriculture, engineering, and veterinary medicine. WSU offers more than 200 fields of study, including majors, minors, options, and certificate programs. Bachelor's degrees are available in all major areas, with master's and doctoral degrees available in most. The undergraduate core curriculum, including the writing program, is nationally recognized. WSU's Honors College is one of the oldest and most respected all-university programs for academically talented students. WSU confers nearly 5,900 bachelor's, master's, professional, and doctoral degrees statewide in a typical year. WSU employs over 1,400 instructional faculty members. WSU is ranked 140th nationally and 70th among public universities in the 2016 U.S. News & World Report rankings. It also ranked 69th overall among 343 undergraduate business schools; ranked 19th in the international business programs accredited by AACSB, and ranked 59th overall for best undergraduate engineering programs accredited by ABET. WSU's College of Veterinary Medicine ranked 14th in the nation. The Academic Ranking of World Universities (ARWU) in 2016 ranked WSU in the 120-137 range nationally and in the 401-500 range globally. WSU was ranked 395th in the world by the QS World University Rankings. The WSU Libraries coordinates the administration of three major libraries on the WSU Pullman campus (Animal Health, Holland/Terrell, and Owen Science & Engineering Libraries) and five libraries off the Pullman campus (the Betty M. Anderson, WSU Energy Program, and WSU Spokane libraries, and the WSU Tri-Cities and WSU Vancouver libraries). Five reading rooms libraries on the Pullman campus (the Gay, Lesbian, Bisexual, and Allies; Heritage House; Human Relations and Diversity; Music; and Women's Resource Center collections) are outside the WSU Libraries. The WSU Libraries also participates in the Orbis Cascade Alliance, a consortium of 36 university and college libraries in Washington and Oregon offering the Summit catalog and an inter-library loan system and the WSU Libraries participates in the Greater Western Library Alliance (GWLA). 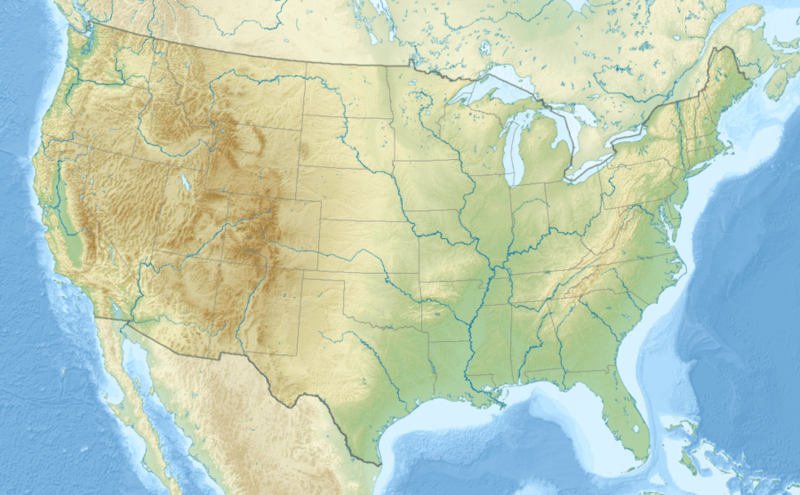 a consortium of 35 research libraries located in the central and western United States. WSU Libraries utilizes ILLiad, RAPID, and DOCLINE for document delivery. WSU Libraries is a member of the Association of Research Libraries. The WSU Libraries holds 2,266,616 print volumes and WSU faculty and students downloaded 2,022,603 from its licensed online collections in 2012. WSU spent $341.1 million on research in the 2013 fiscal year. In 2013, National Science Foundation rankings of research and development expenditures, WSU ranked 36th among public research universities without a medical school, and 43rd among all public research institutions. Research and scholarship at WSU is rooted in agriculture, natural for a land-grant university. The institution's first leader, George W. Lilley (1891–1892), was both president of the then named Washington Agricultural College and School of Science and director of the Washington Agricultural Experiment Station. Subjects taught by the first five faculty members included agriculture, botany, horticulture, forestry, and veterinary science. In 1894, the 6th faculty member, William Jasper Spillman, arrived to teach plant science and mathematics and serve as the first wheat breeder. The WSU wheat research and breeding program continues to serve the Washington wheat industry, the 6th largest industry in the nation in 2008–2009. The state's wheat growers work closely with WSU researchers on development of new wheat varieties that meet their needs. The university's food and agriculture research helps sustain the state's annual $29 billion food industry. Faculty partnered with agriculture interests to create today's $3 billion a year wine grape business. The Apple Genome Project draws collaboration from scientists worldwide to map the apple genome, research aimed at supporting the apple industry. Food science is another long-time research field at WSU. Work in the 1940s on types of cheese suitable for storing in cans or tins led to creation of now award-winning Cougar Gold cheese, a white cheddar produced at the WSU Creamery with milk from the university's dairy herd. In 2009, the Food and Drug Administration (FDA) approved the use of microwave energy for producing pre-packaged, low-acid foods, and WSU professor Juming Tang led development of the technology by university, industry and U.S. military scientists. In terms of productivity, WSU plant sciences faculty rank No. 2 in the nation, animal sciences faculty rank fourth, and food science faculty rank 6th according to Academic Analytics' 2007 Faculty Scholarly Productivity Index. In addition, WSU agricultural studies have helped shape U.S. public policy by showing how sustainable farming practices sidestep the environmental hazards of conventional agriculture. The Climate Friendly Farming project helps farmers adopt methods that mitigate global climate change. Veterinary medicine and animal health are also important research areas at WSU. In 2008, a $25 million grant from the Bill & Melinda Gates Foundation funded a large share of the cost for a research facility for a new WSU School for Global Animal Health. Its scientists address global infectious disease challenges by detecting diseases within animal populations and controlling their transmission. 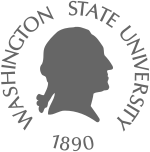 The Washington Animal Disease Diagnostic Laboratory located at WSU works closely with the U.S. Department of Agriculture and the Centers for Disease Control and Prevention to develop and deploy diagnostic tests for livestock diseases. In the area of clean technologies, university researchers work to raise the efficiency and reliability of the nation's electrical power grid, improve air quality forecasting in the Northwest, and conduct cooperative research projects under the Department of Energy Nuclear Energy Research Initiative (NERI). Scholars are developing an algae-based biofuel that consumes greenhouse gases in its production and are working to patent nanospring technology that would fit into an ordinary gas tank, solving the problem of hydrogen storage. In 2001, WSU professor M. Grant Norton and University of Idaho physics professor David McIlroy were the first scientists to create nanosprings. WSU is also home to one of the few remaining Nuclear Research Reactors in the country. The Nuclear Radiation Center is a 1 MW TRIGA Conversion reactor built in 1961 during President Eisenhower's Atoms for Peace initiative. It is a very potent research tool utilized by WSU's radiochemistry graduate program, as well as providing education on the nuclear industry to the public through talks and facility tours. Other recent research highlights include studies of the effects of sleep and sleep loss on human cognitive functioning, work to advance shock compression science with contracts awarded to the WSU Institute for Shock Physics by the Defense Advanced Research Projects Agency (DARPA) and the Department of Energy, and a program funded by the National Science Foundation that trains doctoral students to analyze evolutionary processes. Reproductive biologist Patricia A. Hunt was named one of the top 50 researchers of 2007 by Scientific American for her work showing a potential threat to human health posed by bisphenol A (BPA), a component of the polycarbonate plastics used to make food and beverage containers. Over the years, WSU research and scholarship included the 1968 discovery of the Marmes Man at the Marmes Rockshelter in southeastern Washington, the nation's oldest human remains at that time; the development of high-yielding dwarf wheat; discovery of insect resistance to pesticides; and creation of a method to store cheese in tins, which led to the university's well known and still produced Cougar Gold Cheese. WSU fruit breeders have developed many varieties for the state including, in 1952, the sweet, yellow Rainier cherry, and in 2010 an apple specifically for Washington, named Cosmic Crisp. WSU Extension has offices in each of Washington's 39 counties, providing training and assistance in agricultural practices, natural resource management, human and life skills, diversity understanding and outreach, the state 4-H program, and many other programs. In 1973 in Seattle, WSU Extension founded the now national Master Gardener Programs of trained volunteers. WSU Extension faculty and staff have also provided assistance for programs in under-developed and developing countries. Many faculty members have appointments to do research, teach, and provide extension services. The State of Washington's network of Small Business Development Centers is a cooperative effort of Washington State University, other public educational institutions, economic development organizations and the US Small Business Administration. A source of counsel on starting and growing small firms, the centers are found in 17 locations in Western Washington and seven location in Eastern and Central Washington. The WSU Creamery, an outreach and teaching program, has garnered a reputation for fine dairy products, most notably the Cougar Gold cheese sold at the creamery store, Ferdinand's, as well as online and at some local Pullman stores. The cheese is regionally famous and fetches the price of $18–$24 for a 30 oz can. Cougar Gold is marketed as "a white, sharp cheddar with a taste that resembles Swiss or Gouda" and is "aged for at least one year." Cougar Cheese also comes in other varieties, including American Cheddar, Smoky Cheddar, Viking, Dill Garlic, Sweet Basil, Hot Pepper and Crimson Fire. Washington State University Press each year publishes an average of eight titles that focus on the American West, with particular emphasis on the prehistory, history, environment, politics, and culture of the greater Northwest region. A member of the Association of American University Presses, the WSU Press publishes in varied genres, including scholarly and trade monographs, reminiscences, essays, biographies and works that tell the story of the West in innovative ways. Through the Center for Civic Engagement on the Pullman campus, students participate in an estimated 30,000 hours annually of credit and non-credit service activities in the community. In 2008, the Carnegie Foundation for the Advancement of Teaching granted WSU its Community Engagement elective classification, both for curricular engagement and for outreach and partnerships. WSU operates a research extension out of Prosser, Washington. AgWeatherNet  (AWN) provides access to current and historical weather data from Washington State University's automated weather station network along with a range of models and decision aids. The weather data, advisories, weather data products and decision support systems provided by AgWeatherNet and WSU can help improve production and product quality, optimize resource use and reduce environmental impact. Established in 1901, the School of Music at Washington State University is recognized for excellence in undergraduate and graduate studies in music. WSU has an internationally recognized faculty and offers degrees in Performance, Music Education and Composition and degrees which combine music with studies in Jazz and Business. Physical facilities at WSU include the beautiful, renovated Kimbrough Music Building containing an extensive music listening library, professional quality recording and electronic music studio, a concert hall, large ensemble rehearsal rooms, practice rooms and classrooms. In addition, the Music Program utilizes excellent stage facilities in Bryan Hall, featuring an 800-seat auditorium, a production shop, piano and instrument repair shops, and a three manual, 44-rank Schantz pipe organ. Director of the WSU School of Music is Dr. Gregory Yasinitsky. Student life on WSU's Pullman campus is influenced by a variety of student organizations and their committees. For example, the ASWSU Committees are the lifeblood of that association. Open to all students, they create educational, entertaining and cultural programming for WSU students and the local community. Committees include Asian Pacific American Student Coalition (APASC), Black Student Union (BSU), Environmental Sustainability Alliance (ESA), Gender and Sexuality Alliance (GSA), International Students' Council (ISC), Ku Ah Mah, KZUU Radio, Middle Eastern Students Association (MESA), Movimiento Estudianti Chicano de Aztian (MEChA), Student Legal Services (SLS), Veteran's Student Committee, and GIVE on the Pullman Campus. All ASWSU committees are members of "Committee Squared," the coalition of all ASWSU Committee leaders. ASWSU also consists of the President and Vice President who oversee the Executive Staff. The staff consists of a variety of directors and assistant directors advancing student causes via student life, diversity affairs, campus life, and others. The 23-member Senate represents students via academic colleges as well as the Honors College and Freshman class. The Senate meets weekly to debate legislation, hear reports from the Executive Staff, and appoint the various officers of ASWSU. The Senate also provides financial support to the nearly 400 registered student organizations on campus via the Senate Finance Committee. Finally, the Election Board and the Judicial Board complete the association. There are several other influential student organizations. Interfraternity Council, Panhellenic Council, the United Greek Council, and the National Pan-Hellenic Council are governmental bodies for university-recognized Greek social organizations. The Residence Hall Association is a government body for students in the residence halls, governing all of the residence halls on campus excluding McEachern and Stimson Halls. It is the second biggest Registered Student Organization at Washington State, representing about 4,700 on campus resident students. The Board of Directors of the Students' Book Corporation oversees the non-profit campus bookstore with over $17 million in annual revenue. The Students' Book Corporation donates all profits back to WSU students. The Student Services & Activities Fees Committee disperses over $6 million annually from a student-imposed fee to student events and programs. The Compton Union Board oversees the management of the student union building and its services. The University Recreation Board oversees the management of university recreation. The Student Alumni Connection hosts several major campus events. The Student Entertainment Board (SEB) is a student-led board composed of undergraduate students. Positions on the board include: Spotlight, Films, Up All Night, Lectures, CUB Gallery, Concerts, VPLAC (Visual, Performing, and Literary Arts Committee), Special Event (Homecoming and Springfest), Associate Director, and Director. They are responsible for bringing diverse arts & entertainment to campus. The Coalition for Women Students provides much of the multicultural programs on campus, including the annual Women of Color symposium, the Week Without Violence, and Take Back the Night rally and march. CWS is made up of Association for Pacific and Asian Women, Black Women's Caucus, Mujeres Unidas, Native American Women's Association, and the YWCA of WSU. The organization also funds the all-volunteer Women's Transit, a safe door-to-door transportation program for women who would otherwise walk alone at night. WSU has two representative student body organizations: the Associated Students of Washington State University (ASWSU) founded in 1915 and the Graduate and Professional Students Association (GPSA) founded about 1970. In recent years, the student body completed several major projects on campus. In addition to passing a $15 transportation fee to increase Pullman Transit's service, the student body also voted to remodel the Compton Union Building. The building closed in May 2006 and re-opened in August 2008. In March 2006, ASWSU voted to support the renovation of Martin Stadium, adding $25 per semester to undergraduate student fees. ASWSU's organizational framework is similar to that of most American governments complete with an appointed and confirmed judiciary, elected representatives (from districts) to a senate, and an annually elected president and vice-president team. The president also has a paid staff led by the Chief of Staff ranging in size from 6–12 members, depending on the year. GPSA is similar, but differs in that it lacks a judiciary or a paid staff. The GPSA is centered on the senate which is composed of a large number of senators that represent different graduate and professional programs. The GPSA also has an executive Council that consists of the (GPSA) President, Vice-Presidents, and nine District Representatives that are elected from the nine colleges of WSU. Washington State Magazine is the alumni and research magazine of Washington State University. Published quarterly, the magazine covers news and issues of interest to Washington State University faculty, staff, students, alumni, and the people of Washington. The magazine was first published in 2001. Before Washington State Magazine, WSU alumni news was published in HillTopics from 1969 to 2000, and The PowWow, the alumni magazine from 1910 to 1969. Research news at the university appeared in Universe magazine in the 1990s. WSU News is the university's official news website and daily e-newsletter for faculty, staff and graduate students. The Daily Evergreen is Washington State University's student newspaper. The first issue of the Evergreen was published in 1895. WSU broadcast media include Northwest Public Radio and Television, the network of public radio and television stations in the Northwest owned and operated by Washington State University. NWPR's flagship station—KWSU 1250 in Pullman—signed on December 10, 1922, as KFAE, became KWSC in 1925, and then KWSU in the 1960s. WSU alumnus Edward R. Murrow got his start in radio at KWSC. Cable 8 Productions is a local student-operated cable TV channel serving WSU and the Pullman-Moscow area. KZUU 90.7 FM, a non-commercial college radio station, is a service of ASWSU. It gained FCC approval in 1979. KUGR Sports Rock is a student-operated, online radio station. Among the students who operate these media are broadcasting students in WSU's Edward R. Murrow College of Communication. The Pullman campus of Washington State University is 620 acres (2.5 km2) and is located in the Palouse region. The average elevation of the campus is approximately 2,500 feet (760 m) above sea level, and is seven miles (11 km) west of the Idaho border and Moscow, home of the University of Idaho, also a land-grant institution. The university communities are connected by Highway 270 and the Bill Chipman Palouse Trail. The Palouse is defined by its unique rolling hills that were created by wind-blown soil, which supports one of the world's most productive dry-land agricultural regions. The main crops are wheat, peas, barley, and lentils. Evenings are often highlighted by a spectacular blue-pink sunset, which the first Board of Regents decided to use as the college's colors (later changed to the current crimson and gray colors). Perched atop College Hill (one of the four main hills in Pullman), the campus overlooks downtown Pullman. Most campus buildings are red brick and can be characterized as utilitarian. The most dramatic campus building is the recently named Terrell Library with its curving sweep of windows and a cone-shaped skylight above its atrium. Terrell Library was built in the shape of a piano, and a piano remains centered below the skylight to highlight this unique architectural design. It opened in 1994. Another dramatic structure is the Samuel H. Smith Center for Undergraduate Education, opened in 2002 and named for WSU's president from 1985–2000. The heart of campus is the Glenn Terrell Friendship Mall, referred to as "the mall" by students. This walkway was named after Glenn Terrell, who was WSU's president from 1967 to 1985. President Terrell's secretary was known to set meetings 10 minutes behind schedule to make up for the time he would spend talking to students along the way. The library, student union, and a number of classroom buildings surround the Mall. The football stadium, Martin Stadium, named after Governor Clarence D. Martin, also figures prominently on campus. It is situated in the core of the campus with the south grandstands built into the Hill (the Information Technology building is part of the south grandstands), and Terrell Library and the Vogel Plant BioSciences buildings overlooking the west and east ends, respectively. Football has been played here since 1895, first as Soldier Field, later renamed Rogers Field. After a fire to the main wooden grandstand in 1970, it was replaced with Martin Stadium, which opened 44 years ago in 1972. Even though it is the smallest in the Pac-12, it offers the most seating to students in the conference. 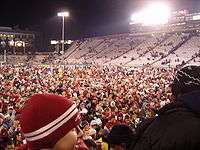 After the 2006 football season, Martin Stadium went under a massive renovation to expand the seating capacity and offer greater amenities for players and spectators, as well as made improvements to the general facilities such as bathrooms and concession stands. The Cougar Football Project is the proposed renovation of Martin Stadium that consists of two separate projects. The first project, called the Southside Project, would replace the old press box on the south stands with a new structure that includes a new press box, club seats, loge boxes, luxury suites and a club room. The Southside Project is currently in progress and will be completed in November 2012 The second project, called the West End-Zone Project, would provide a home for the Cougar football program, including new weight, lock, equipment and training rooms for players, in addition to meeting rooms and coaches’ offices. It will also feature a WSU Football heritage area and a game-day home for Gray W former letter winners. Other exceptions to the utilitarian architectural style are Thompson Hall, Bryan Hall, and Stevens Hall, the oldest buildings on campus. Thompson Hall was the original administration building, and is now the home of the foreign language department. Bryan Hall is the landmark building on campus with the tall four-sided tower enclosing a carillon and displaying a clock that lights up neon-red in the evening. Stevens Hall is an all-women's dormitory pitched with many gables. Stevens Hall and Thompson Hall are on the National Register of Historic Places. Also notable are the Lewis Alumni Centre and the Webster Physical Science Building. Lewis is an old beef cattle barn renovated in 1989 to be the most luxurious building on campus, with hand-made rugs, palm trees, Italian marble, and beautiful artwork. Rooms in Lewis include the Board of Regents' Boardroom, Lighty Library, the Athletics Hall of Fame, the Alumni Presidents' Room, and the Great Hall for large social events. Webster is the tallest building on campus with twelve above-ground floors of offices and an expansive view of the region from the roof. Carpenter Hall, which was not finished until 1927. Wilson-Short Hall, 1917, first used, but not finished until later. 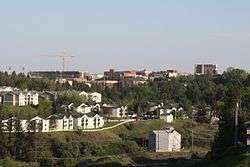 WSU is a residential campus. Many freshmen live in residence halls, while some live in fraternity and sorority houses or in off-campus housing. After their first year, many students move to apartments, several owned by WSU. Most apartments are less than 1⁄2-mile (0.8 km) from campus. Off-campus housing is broken into two sections that are commonly known by students; College Hill and Apartment Land. College Hill houses many members of the Greek community who no longer live-in their fraternity/sorority houses, and are commonly known as "live-outs". A number of the residence halls are co-ed, but there are single-gender living environments as well as a variety of other living options that include age-restricted housing, a mix of domestic and international students, and a global learning community. All of the residence halls, except for McEachern and Stimson, are part of the RHA (Residence Hall Association). Each hall has its own government which organizes events, manages its budget, and acts as a forum for student involvement. These halls range in size from the exclusive Stevens Hall (approximately 70 residents), to the massive Stephenson Complex (approximately 1200 residents total). The highlight of the year for the residence halls is often Homecoming Week when the residence halls, off-campus students, and Greeks compete in various events. Events such as the chariot race determine the winner of Homecoming Week. In the past decade, the winner of Homecoming Week has most often been a residence hall team. In 2008, the Residence Halls swept Homecoming. Waller/Wilmer-Davis/Stevens took first, Scott-Coman took second and Stimson/Regents took third. There are currently 26 fraternities and 14 sororities at WSU. Kappa Sigma, the first national fraternity at WSU, celebrated its centennial on the Pullman campus on March 6, 2009. Alpha Delta Pi was the first sorority at WSU it was established in 1912. A Greek Life Centennial 1909–2009 for all chapters and alumni was planned for September 14–19, 2009. Between 15–20 percent of undergraduate students are in the Greek community annually. Greek Row is situated on College Hill just downhill from Bryan Hall and the Hill Halls (the historic single-gender dormitories) on the WSU campus, and among the homes of faculty, Greek live-outs, and apartment buildings. The Greek Row and College Hill area is a diverse community of students, faculty members, and families (including the President's House). Restaurants, thrift stores and various bars line Colorado Street, the main street on College Hill. The bars on College Hill include Cougar Cottage (informally, the Coug), currently in its 78th year of operation, Valhalla, and Stubblefield's (informally, Mike's); all boast a large amount of customers on the weekends as well as many themed weekdays. The university has the 160,000-square-foot (15,000 m2) Student Recreation Center (SRC), which was the largest student recreation center in the United States when it was opened in 2001. The SRC contains a 1⁄8-mile (0.2 km) elevated indoor track, four basketball courts, two volleyball courts, roller hockey rink, four racquetball courts, swimming pool, 50-person jacuzzi, free weights, weight machines, cardio equipment, exercise instruction rooms, outdoor sand volleyball courts, and a low to high ropes course. The campus also has several other basketball courts, dance rooms, a climbing wall, and the Outdoor Recreation Center where students can check out equipment or register for various events and trips. The seven-mile (11 km) Bill Chipman Palouse Trail links Pullman with Moscow and links to the Latah Trail to Troy, 22 miles (35 km) from WSU. Another bike trail wraps around the Pullman campus (about eight miles or 13 kilometres long). The school has an intramural program, and club sports are also very popular on campus. The campus added a 7,305-yard (6,680 m) championship golf course in 2008; Palouse Ridge, a $12.3 million project, opened on August 29. It intends to improve the school's golf teams, provide a laboratory for students in turf grass courses, and give boosters and alumni a new reason to visit the campus. From the back tees (Crimson), the course rating is 75.9 with a slope rating of 140. It replaces a sub-standard 9-hole course that was built in 1923 and was mostly unimproved. It closed in 2006 for the redesign to create Palouse Ridge, on the same site and adjacent land. The UI Golf Course in Moscow also offers student rates. It opened in 1937 and added its second nine in 1970; the back tees are at 6,637 yards (6,069 m), with a course rating of 72.4 and a slope rating of 135. Within 35 miles (56 km), many students have the option to hike at Kamiak Butte and Steptoe Butte. Moscow Mountain, at 4,983 feet (1,519 m) in the Palouse Range in Idaho, provides opportunities for hiking and mountain biking. For aquatic adventures, students can cliff jump or boat at the Snake River. Farther out, white-river rafting, downhill skiing, and hiking in the nearby foothills of the Rocky Mountains are available. WSU formerly operated its own alpine ski area in Idaho, the North-South Ski Bowl, which was sold in the early 1980s. The WSU Arboretum Committee continues to develop an Arboretum and Botanical Garden on a hilltop adjacent to the Lewis Alumni Center. In addition, about 95 acres (38 ha) on the east edge of campus has been identified for a more expansive Arboretum and Botanical Garden, including a wildlife center. Students interested in contributing to the development of the WSU Arboretum are working with the Native Plant & Landscape Restoration Nursery to help establish tree plantings, future habitat restoration sites, or native plant displays that may be part of a campus green belt design. WSU has one LEED-silver certified building on campus, and two more buildings that meet LEED-silver standards but are not certified. The university has also encouraged the use of energy efficient lighting, energy management systems, and insulating steam lines, to reduce wasted power. WSU's energy is generated in part by an on-campus steam plant, powered by natural gas with diesel fuel back-up. This accounts for 38% of carbon emissions, or 53,922 metric tones eCO2 out of 136,166 metric tons total. The remaining carbon emissions is predominantly the result of purchased electricity (52%), with less than 10% the result of commuting, air travel, refrigerant leaks, and waste incineration. The university has committed to lowering carbon emissions 36% below 2005 levels by 2035, though thus far emission levels have remained relatively flat. WSU is active in clean energy research, though the campus does not currently have any renewable energy installations. WSU does not currently commit to establishing a committee or policy that supports climate and sustainability shareholder proposals at companies where the endowment funds are invested. The university is exploring investing in renewable energy, but otherwise is focused on optimizing investment returns. Proxy voting is not possible due to the fact the endowment fund is entirely invested in comingled investment vehicles. The university promotes on-campus sustainability primarily though the Sustainability and Environment Committee and the ASWSU Environmental Task Force. Undergraduates who have an idea to improve campus sustainability can apply for funding from the Cougar Green Fund, which is funded by an optional $5 student fee. WSU also provides a free bikeshare system through its Greenbike program. The Museum of Art/WSU has several permanent collections, including the Ernest O. Holland Collection given by the university's fourth president and the Charles Orton Collection, given by a former regent. Others are the Goya and Daumier Collections, Chaplin Woodcuts, Consortium Collections, Meyer Shapiro Print Collection, Elwood Collection and Marian E. Smith Collection of Northwest glass art. Other permanent collections contain works by Northwest artists D. Griffin, Mark Tobey, Kenneth Callahan, Margaret Tomkins, and former faculty members from WSU and the University of Washington. The university also has an extensive collection of outdoor art on its Pullman campus. Pieces range from a life-size bronze book-figure "Bookin'" by Terry Allen to "Palouse Columns" by Robert Maki to "Technicolor Heart," a fourteen-foot painted bronze work by Jim Dine. Beginning in 2005 the Museum of Art began organizing its own traveling exhibitions. These exhibitions, including works by Roy Lichtenstein, Gaylen Hansen, and Chris Jordan, have been seen across the country. Between 2005 and 2011, exhibitions organized by the Museum of Art will have traveled to 20 museums in 11 states, and will have been seen by more than 300,000 people. The Museum has also published 6 trade books since 2004. The Museum of Art's latest exhibition publication, Running the Numbers, an American self-portrait, features essays by Chris Bruce, Paul Hawken and Lucy R. Lippard. Several other museums and collections are found on the WSU Pullman campus. One of the largest is the Charles R. Conner Museum of Natural History, exhibiting more than 700 mounts of birds and mammals, and possessing more than 65,000 research specimens. The Connor Museum has its roots in an 1894 gift of the state of Washington's exhibits from the Chicago's World's Fair, encouraged by then President of the Board of Regents Charles R. Conner. Located on the first floor of Abelson Hall, the museum is open 8 a.m.–5 p.m. daily except major holidays. The Museum of Anthropology, with archaeological and ethnographic collections, also draws visitors. Open 9 a.m.–4 p.m. Monday through Friday during the school year, the museum has varied exhibits and special events. It also has a collection of objects representing the culture of Native American tribes in the Inland Northwest, and is an official repository for archaeological collections from Eastern Washington. Also at WSU are the Harold E. Culver Collection, with fossils of pre-historic animals; the Lyle and Lela Jacklin Collection of Silicified Wood & Minerals; and S. Elroy McCaw Fluorescent Mineral Display. Research collections include an Historic Costume and Textiles Collection, the Maurice T. James Entomological Collection, the Marion Ownbey Herbarium, the Mycological Herbarium, and the Henry W. Smith Soil Monolith Collection. Washington State University is a member of the Pac-12 Conference. The school's mascot is "Butch T. Cougar" and the school's colors are crimson and gray. Varsity athletics include men's baseball, basketball, cross country, football, golf, and track and field, as well as women's basketball, cross country, golf, rowing, soccer, swimming, volleyball, tennis, and track and field. In the past WSU had varsity programs of boxing, wrestling, gymnastics, and men's swimming. In 1917, WSU won its first national championship in men's basketball. In 1937, Roy Petragallo and Ed McKinnon won the NCAA boxing championship, another national championship. The Cougars third and most recent national championship was earned in 1977 in indoor track and field. University Recreation also supports 26 club sports, including bowling, men's crew, cricket, cycling, equestrian show team, men's and women's flag football, fencing, polo, men's and women's ice hockey, judo, men's lacrosse, logger sports, rodeo, men's rugby union, women's rugby, sailing, ski team, men's soccer, women's fast-pitch softball, taekwondo, triathlon, Ultimate, men's and women's volleyball, water polo and wrestling. Washington State's biggest rival is the University of Washington Huskies. Strong rivalries also exist between WSU and the other Pac-12 teams of the Pacific Northwest: the University of Oregon Ducks and Oregon State University Beavers. WSU's closest geographic rival is the University of Idaho Vandals, a fellow land-grant school only seven miles (11 km) east of Pullman across the state line in Moscow. Conference rivals until 1959, their rivalry football game, the "Battle of the Palouse", was played on an annual basis from 1901 until 1978 when the NCAA Division I split. After Idaho returned to Division I-A, a renewed series lasted a decade, from 1998 until 2007. The renewed series was dropped from the schedule due to the Cougars' continued dominance of the Vandals in the series, and each school's ability to generate more revenue by playing other opponents. Vandal head coach Robb Akey, a former WSU defensive coordinator, preferred the game as an occasional rather regular attraction. On hiatus for five seasons, it returned for one year in 2013. Acting as a liaison between the athletes and the athletic administration, the Student Athlete Advisory Committee is an active part of Cougar athletics. The Committee, composed of two athletes from every sports team and a few athletic administrators, discusses issues relevant to WSU athletes and legislative changes in the NCAA. During the 2006–07 season, the once-moribund Cougar men's basketball team achieved unprecedented success, including its first Top 10 ranking under then first-year head coach Tony Bennett, reaching as high as No. 9 in the AP poll on February 20, 2007. During the 2007–2008 season, the Cougar men's basketball team reached the Sweet Sixteen after beating Winthrop and Notre Dame, before losing to No. 1 Seeded UNC. On March 1, 2007, Washington State was awarded a banner for its 1917 NCAA National Basketball Championship prior to its home game against UCLA. The championship was recently approved by the NCAA. In 1941, Coach Jack Friel led the Cougars to the basketball championship game, losing to Wisconsin 39-34. The Cougars are also fighting for the 1915 National Football Championship. On March 30, 2007, after leading his team to a 26–8 record, 2nd place in the Pac-10 and to their first tournament appearance in over a decade, head coach Tony Bennett was awarded the prestigious AP Coach of the Year award, receiving 40 of a possible 72 votes. Bennett also was awarded the Naismith Award by the Atlanta Tip of Club. This was Bennett's sixth major coach of the year award for the 2006–2007 season (the Associated Press, The Sporting News, United States Basketball Writers Association, Basketball Times, and CBS/Chevrolet, and the Naismith Award). This is the most major awards won by a Pac-12 Conference coach in a single season, surpassing UCLA legend John Wooden's five in 1972. Bennett had agreed to renew his contract with WSU for an additional seven years (extending his contract until 2014). On March 30, 2009, however, Bennett shocked the Cougar faithful by accepting the head men's coaching position at the University of Virginia. On April 6, 2009, WSU announced former Portland State University men's head coach Ken Bone as the new head coach of the Cougars. On April 20, 2007, Washington State hired the recently fired Washington Huskies women's basketball coach June Daugherty as the new head coach of the women's basketball team. This is just the second time a head coach has switched schools in the history of their rivalry. Daugherty was fired by the University of Washington less than a month earlier despite leading the Huskies to six NCAA Women's Tournaments, including her last season at the school. Paul Wulff began his second season as WSU head football coach when the Cougars took on the Stanford Cardinal on September 5, 2009, at Martin Stadium in Pullman. The university's 31st head football coach, Wulff is the first WSU graduate and football letter-winner since Phil Sarboe to lead the Cougars. Subsequent to the 2011 football season Bill Moos fired Wulff. On November 30, 2011, former Texas Tech head coach, Mike Leach agreed to terms with Washington State and began coaching during the 2012 season. He has a 5-year rollover contract, which will make Leach the 4th highest paid coach in the Pac-12. On Sept. 22, 2009, then WSU Athletic Director Jim Sterk launched the "TeamBuilt" fund drive for Phase III of the Martin Stadium renovation to add luxury suites, club seats and loge boxes atop the north stands. On Feb. 15, 2010, San Diego State University announced Jim Sterk as their new athletic director. On Feb. 24, 2010, President Elson Floyd announced the appointment of William "Bill" Moos as WSU's next athletic director. A three-year letterman in football for the Cougars, Moos was on the WSU athletic staff from 1982–1990, then was athletic director for the University of Montana and the University of Oregon. The University has 196,257 living alumni in fall 2015, according to WSU Quick Facts. 1984 Olympic gold medalist in men's double sculls, Paul Enquist, started his rowing career at Washington State. Actor Dolph Lundgren graduated from WSU with a bachelor's degree in chemistry in 1970. Counterculture icon Timothy Leary received a graduate degree from Washington State in the mid-1940s. The WSU Alumni Association is also an independent body with a Board of Directors and President. The WSUAA is organized into 34 regional alumni groups called chapters. The Association's mission is "Encouraging excellence to enhance the quality and global recognition of WSU, Supporting Scholarships to help students attain a WSU education, and Making Connections to connect back to WSU through services and programs for alumni and friends." The Association hosts numerous socials and networking events for alumni in addition to sponsoring many on-campus activities. WSU University Relations also provides support for the Association through the Office of Alumni Relations. The current Executive Director of Alumni Relations is Tim Pavish '80, and the Board President is Rhonda Kromm. The most famous WSU alumnus is Edward R. Murrow, the influential broadcaster for whom the WSU communication college is named. ↑ (As of June 30, 2014). "U.S. and Canadian Institutions Listed by Fiscal Year 2014 Market Value of Endowment Assets and Percentage Change* in Endowment Value from FY 2013 to FY 2014" (PDF). 2014 NACUBO-Commonfund Study of Endowments. National Association of College and University Business Officers. Retrieved Sep 22, 2015. ↑ "WSU Facts and Figures 2014-2015". Washington State University. Retrieved Sep 22, 2015. 1 2 3 "Facts & Figures Fall 2015". Washington State University. Retrieved Sep 22, 2015. ↑ "Colors - Guidelines - Web - Graphic Identity Program - Washington State". Identity.wsu.edu. Retrieved 2013-06-16. ↑ "Washington State University- Academic life". ↑ "globalcampus.wsu.edu". globalcampus.wsu.edu. Retrieved 2015-09-22. ↑ "International students come from many different countries". Wsunews.wsu.edu. Retrieved 2015-09-22. ↑ "New name for WSC near O.K.". Spokane Daily Chronicle. Washington. February 4, 1959. p. 2. ↑ "New name near for State College". Spokane Daily Chronicle. Washington. August 5, 1959. p. 18. ↑ "Board of Regents- Bylaws". ↑ "Regents may get faculty member". Retrieved June 1, 2016. ↑ "Board of Regents, Regents Profiles". Washington State University web site. ↑ "Board of Regents". Regents.wsu.edu. 2012-08-02. Retrieved 2013-06-19. ↑ "Washington State University Past Presidents". President.wsu.edu. Retrieved January 28, 2012. ↑ "Washington State University Timeline". ucomm.wsu.edu. Retrieved November 4, 2015. ↑ "About | WSU Foundation | Washington State University". foundation.wsu.edu. Retrieved 2015-10-29. ↑ "Board Of Governors | WSU Foundation | Washington State University". foundation.wsu.edu. Retrieved 2015-10-29. ↑ "Common Data Set". wsu.edu. Retrieved March 7, 2015. ↑ "Student Data". wsu.edu. Retrieved March 7, 2015. 1 2 3 4 5 "History of WSU buildings". Washington State University Libraries. Retrieved August 22, 2012. 1 2 "Quick Facts". Washington State University. Retrieved 2015-10-29. ↑ "Search WSU Worldcat and Beyond | WSU Libraries". Wsulibs.wsu.edu. Retrieved 2013-06-19. ↑ "WSU Libraries Statewide". Wsulibs.wsu.edu. Retrieved January 28, 2012. ↑ "Orbis Cascade Alliance of Washington and Oregon". Orbiscascade.org. 2013-06-13. Retrieved 2013-06-19. ↑ "Washington Wheat Facts 2008–2009" (PDF). Retrieved January 28, 2012. ↑ "Wheat Variety Development at Washington State University". cahnrsnews.wsu.edu. July 12, 2007. Retrieved January 28, 2012. ↑ "Viticulture and Enology at Washington State University". Winegrapes.wsu.edu. Retrieved January 28, 2012. ↑ History of WSU Creamery and Cougar Gold cheese Archived October 11, 2007, at the Wayback Machine. ↑ "FDA approves researcher's food-preserving process". Wsutoday.wsu.edu. 2009-10-29. Retrieved 2013-06-19. ↑ "Climate Friendly Farming at Washington State University". Cff.wsu.edu. Retrieved January 28, 2012. ↑ McIlroy, D. N.; Zhang, D.; Kranov, Y.; Norton, M. G. (2001). "Nanosprings". Applied Physics Letters. 79 (10): 1540. doi:10.1063/1.1400079. ↑ Hall, Alan (December 15, 2008). "SciAm 50, Scientific American January 2008". Scientificamerican.com. Retrieved January 28, 2012. ↑ "WSU Extension Master Gardener Program". Mastergardener.wsu.edu. Retrieved January 28, 2012. ↑ "SBDC Advising Centers Map". Wsbdc.org. Retrieved January 28, 2012. ↑ "WSU Press Submission Guidelines". Wsupress.wsu.edu. Retrieved January 28, 2012. ↑ "WSU Facts & Figures Brochure 2009–2010" (PDF). Retrieved January 28, 2012. ↑ "2008 Carnegie Community Engagement Classification" (PDF). Retrieved January 28, 2012. ↑ "WSU History by Decade 1910–1919". Wsu.edu. Retrieved January 28, 2012. ↑ "Washington State Magazine". Washington-state-magazine.wsu.edu. 2012-02-15. Retrieved 2013-06-19. ↑ "WSU News". news.wsu.edu. Retrieved 2015-09-22. ↑ Groves, Patrick. "The Daily Evergreen". Dailyevergreen.com. Retrieved Sep 22, 2015. ↑ "KZUU FM History". Wsm.wsu.edu. Retrieved January 28, 2012. ↑ "KUGR Radio at WSU". Kugr.org. Retrieved 2013-06-19. ↑ Missildine, Harry (January 22, 1972). "It'll be 'Martin Stadium'". Spokesman-Review. p. 10. ↑ "Fast blaze ruins Pullman stadium". Spokesman-Review. April 6, 1970. p. 1. ↑ "Rogers Field fire". Washington State University Libraries. City of Pullman Image Collection. 1970. Retrieved August 12, 2014. ↑ Missildine, Harry (October 1, 1972). "Utah Beats Cougars 44-25". Spokesman-Review. p. 1 Sports. ↑ "thecougarfootballproject.org". thecougarfootballproject.org. Retrieved 2013-06-19. ↑ "Project Details - The Cougar Football Project | Capital Planning and Development". Cpd.wsu.edu. 2012-11-26. Retrieved 2013-06-19. ↑ "History of Office of University Architect". Wsulibs.wsu.edu. June 1, 1935. Retrieved January 28, 2012. ↑ "Washington State University buildings". Wsulibs.wsu.edu. February 12, 1985. Retrieved January 28, 2012. ↑ "Community Hall". Wsulibs.wsu.edu. Retrieved January 28, 2012. ↑ "McCroskey Hall". Wsulibs.wsu.edu. Retrieved January 28, 2012. ↑ "McCroskey Hall image". Wsulibs.wsu.edu. Retrieved January 28, 2012. ↑ "Stimson Hall home page". Wsu.edu. Retrieved January 28, 2012. ↑ "MASC Digital Collections: Stimson Hall". Content.wsulibs.wsu.edu. Retrieved January 28, 2012. ↑ "Washington State University buildings". Wsulibs.wsu.edu. Retrieved January 28, 2012. ↑ "Course Rating and Slope Database™ Palouse Ridge". Retrieved August 22, 2012. ↑ "Course Rating and Slope Database™: UIGC". USGA. Retrieved August 22, 2012. 1 2 3 The College Sustainability Report Card. "Washington State University- Green Report Card 2011". Retrieved 22 April 2013. ↑ Washington State University. "Climate Action Plan" (PDF). Retrieved 22 April 2013. ↑ American College and University President's Climate Commitment. "Progress Report for Washington State University- Pullman". Retrieved 22 April 2013. ↑ Washington State University. "Clean Technology". ↑ American College and University President's Climate Challenge. "Implentation Profile for Washington State University". Retrieved 22 April 2013. ↑ Washington State University. "Campus Sustainability". Retrieved 22 April 2013. ↑ "Museum of Art Permanent Collections". Museum.wsu.edu. Retrieved January 28, 2012. ↑ "Cougars add Idaho to 2013 football schedule". Washington State University Athletics. May 1, 2012. Retrieved August 22, 2012. ↑ "February 20, 2007 AP Men's Basketball Poll". Appollarchive.com. Retrieved January 28, 2012. ↑ "National Champions, National Heroes: The Story of 1917 Washington State Basketball". Wsucougars.cstv.com. Retrieved January 28, 2012. ↑ "1941 Cougars: One Of The Greatest". Wsucougars.cstv.com. Retrieved January 28, 2012. ↑ "Time for WSU to claim 1915 national title". Washingtonstate.scout.com. February 17, 2006. Retrieved January 28, 2012. ↑ "2009–2010 WSU Cougar Football Schedule". Wsucougars.cstv.com. Retrieved January 28, 2012. ↑ "Moos to become WSU athletics director". Wsutoday.wsu.edu. 2010-02-24. Retrieved 2013-06-19. ↑ "WSU Regents' Distinguished Alumnus Award Recipients". Regents.wsu.edu. February 14, 2006. Retrieved January 28, 2012. ↑ Washington State Magazine. "WSU myths and legends". wsu.edu. Retrieved March 7, 2015. Wikimedia Commons has media related to Washington State University. Pound sign (#) denotes acting president.